If you’re looking for an island paradise in Thailand without the crowds, then Koh Lanta is the place for you. Situated off the coast of Krabi, it offers a quieter, more peaceful alternative to the ever popular Koh Phi Phi. 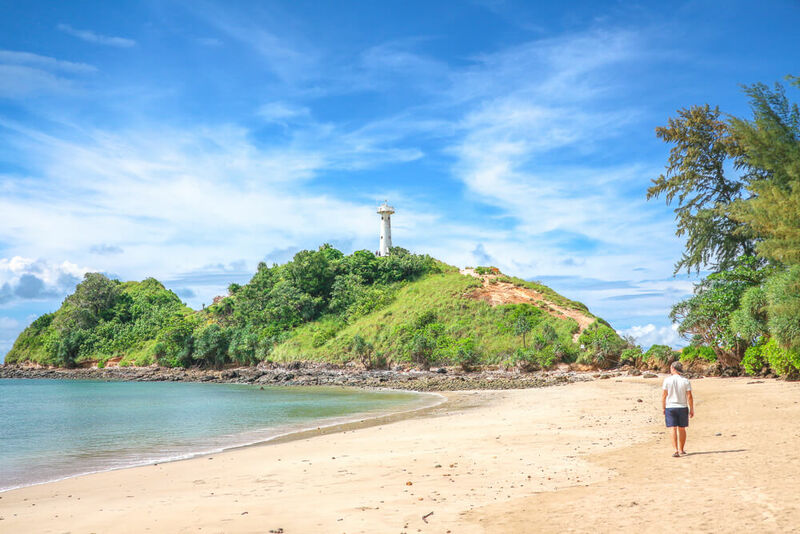 That doesn’t mean there’s a lack of things to do in Koh Lanta though, with great dive spots, a beautiful national park, white sand beaches and more. Travellers are starting to catch on and while there’s still plenty of secluded places to enjoy, there may not be for too long! 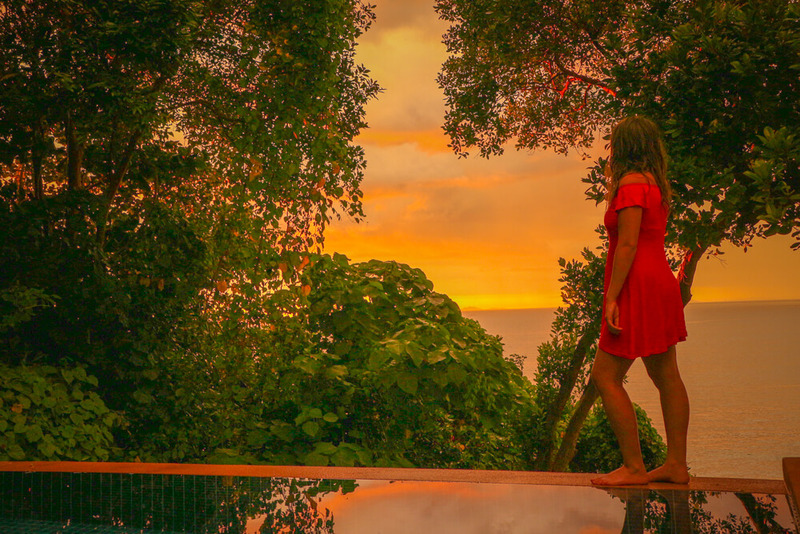 Whether you want to know where to stay, when to visit or how to get there – everything you need to know before visiting is in this Koh Lanta guide. Ferry – Ferries run daily from Krabi pier to Koh Lanta during Lanta’s high season (around November to April). Krabi pier is located 4km from Krabi Town, so when booking a ferry we recommend checking you have a transfer to the pier included. The ferry journey takes approximately 2 hours. From Ao Nang we were able to negotiate a transfer to the pier and the ferry for a price of 400 baht each. Prices from Krabi Town should be slightly less than this as the pier is closer. Be aware that you may spend a lot of time waiting around at the pier before your ferry departs, which can be quite frustrating. In total our trip took around 4 and a half hours from Ao Nang. Upon arrival in Koh Lanta you’ll need to negotiate a price for a tuk tuk or shared van to your accommodation. Minivan – Your alternative to taking the ferry is to take a minivan. There is still a short ferry ride involved, but the rest of the journey is by road. The journey should take around 3 hours from Krabi Town, or slightly longer from Ao Nang. While this is sometimes the case, some people do get held up in queue for the short ferry ride as a number of other vehicles want to make the crossing. On the whole this option could work out as quicker, but it all depends on how long you end up waiting for the ferry – so it will often be down to luck. Minivans are advertised as 300 baht from Ao Nang, so from Krabi Town you shouldn’t expect to be paying more than this. If you do go by minivan you’ll get dropped off at your accommodation in Koh Lanta, whereas if you take the ferry option above you’ll need to make your own way there. Scooter/bike – By far the most convenient way to get around Koh Lanta is to rent a scooter/bike. This gives you the freedom to explore everything the island has to offer, without having to pay for multiple tuk tuk rides. Despite a few potholes here and there, the main roads are generally well paved. Legally you are required to have an international drivers license to ride a scooter/bike here, but most rental companies don’t enforce this. Rentals start at 200 baht a day, but in high season may set you back 300 baht a day. Gasoline is available at stalls on the side of the road for 30-40 baht depending on the place, with one bottle filling around half a tank of a small bike. Tuk tuk – If you’d prefer not to rent a bike, tuk tuks are readily available to take you wherever you need to go. Be prepared to negotiate with the driver to get a good price – so never pay the amount initially quoted. For one off journeys, taking a tuk tuk isn’t too expensive but if you do a few it can quickly add up. If you’re planning to spend a day exploring, you can negotiate a price with a driver to hire their services for the day. This will most likely be a lot cheaper than paying for individual journeys. Koh Lanta’s high season falls between mid-November and mid-April, as there is generally less rainfall during this period. In particular, December, January and February have some of the sunniest days of the year. From mid-April to mid-November Koh Lanta sees an increase in rainfall due to higher temperatures. Some restaurants and accommodations close during this period as less tourists visit the island. In some cases, the bad weather can cause ferries to be cancelled so getting to/from the island isn’t always straightforward. Despite this, the island does see some good patches of weather although these can be unpredictable. If you’re looking for good weather but without the crowds then late November, March or early April are your best options. If crowds don’t bother you though, aim for any time between December and February to make the most of Koh Lanta’s beaches! 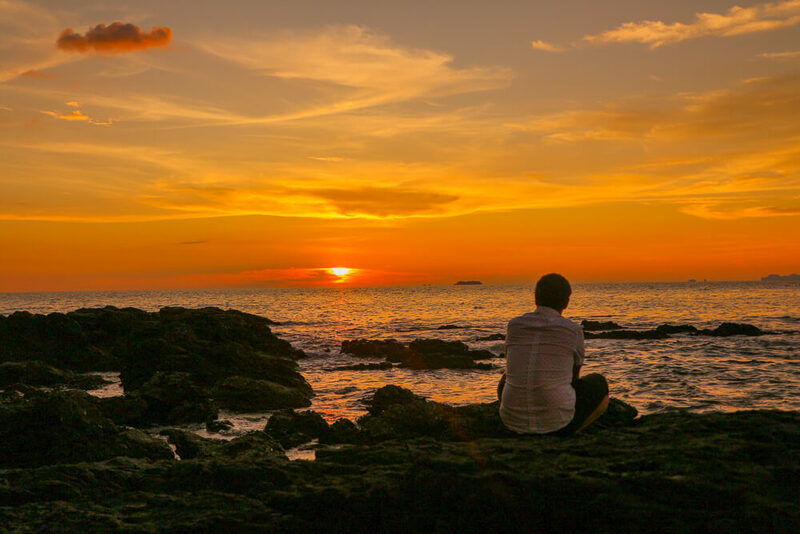 Relax on the beach – The most popular thing to do in Koh Lanta is head to the beach. With plenty of beaches to enjoy around the island, it’s easy to pass your days soaking up the sun or cooling off in the sea. What beach you choose to do this at depends on where you’re staying on the island. One of our personal favourites was bamboo beach. As most people don’t make it so far south, you’ll only have to share this beautiful white sand beach with a handful of other people. If you’re looking for a nice spot to enjoy sunset, Khlong Khong beach has a fantastic choice of beachfront restaurants and bars. With great happy hour deals it’s the perfect place to enjoy a cocktail or two! 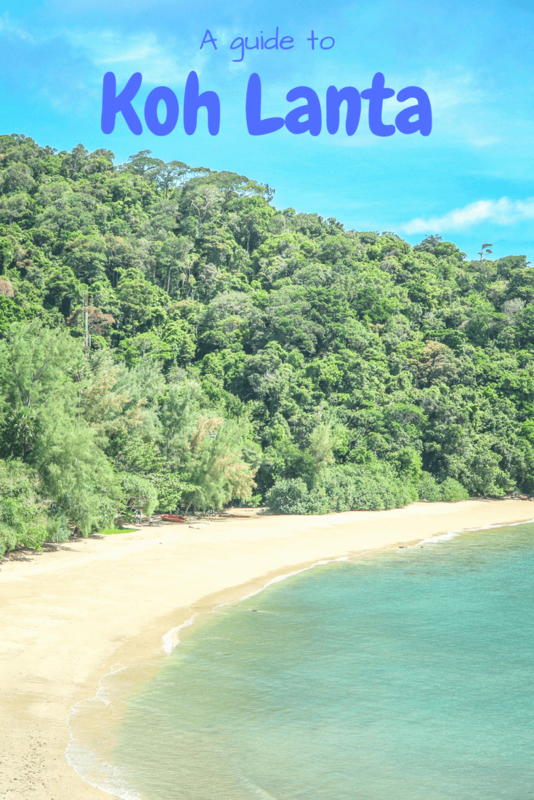 For more on the the best beaches in Koh Lanta, check out this guide! 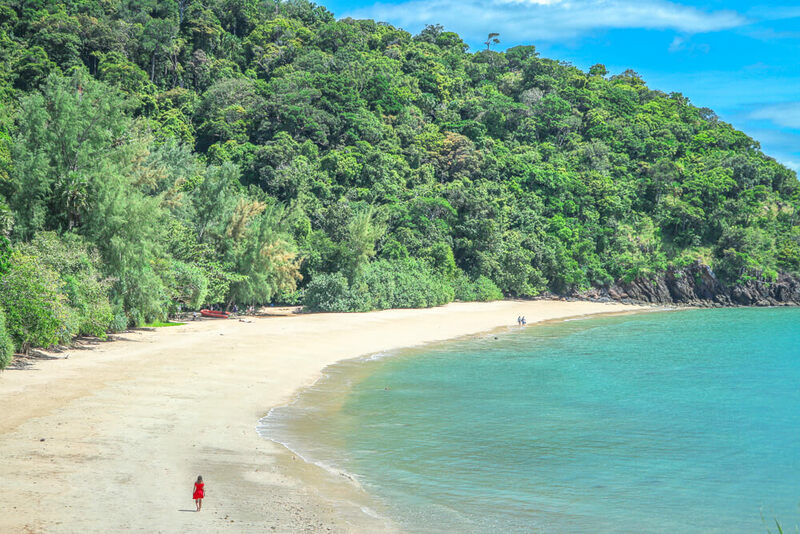 National Park – One of the area’s most beautiful spots, the Koh Lanta national park, lies at the southern tip of the island. Many tourists opt not to venture this far, so it’s relatively secluded. As a result, you’re able to enjoy the park and its beautiful beach in peace – unless you come across some mischievous monkeys that is! For a brilliant viewpoint of the park, make your way up to the lighthouse. From here you’ll have picture perfect views of the beach and surrounding forest. If you prefer to be more active, head beyond the beach for a nature trail through the forest – but be warned there are lots of steep steps! Entrance to the park costs just 200 baht per person, which is well worth it to escape the crowds and enjoy the nature Koh Lanta has to offer. Lanta Animal Welfare – Voted as one of the best things to do in Thailand on tripadvisor, Lanta Animal Welfare is a must visit for animal lovers. The centre takes in homeless, sick and injured animals, cares for them and finds them new homes. Tours are free and give you a chance to get up close with the animals – and if you fancy it you can walk one of the dogs. They really do some great work, having treated over 15,000 animals since 2005. 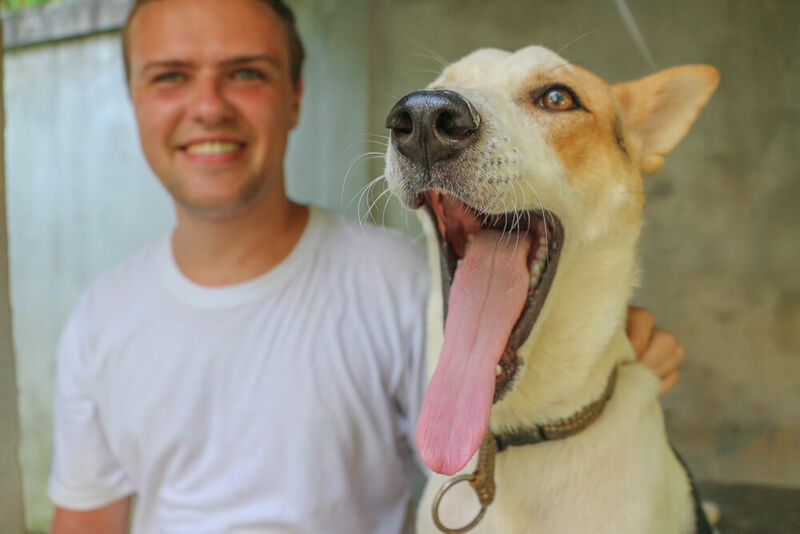 If you’re flying home from Thailand then you may even be able to help take one of the animals to their new home. They do all the hard work for you and it costs nothing to do – so if you’re interested in helping out click here to find out more! Other ways to help out include sponsoring animals or making donations, but if you don’t have the money to do that they still appreciate the support! Lanta Old Town – Until around 50 years ago, Lanta Old town was the main town on Koh Lanta. The town has remained relatively unchanged as the years have passed, and is still a fishing village to this day. At the waterfront you’ll find wooden houses on stilts, with views out to nearby islands. If you have time, Lanta Old town is certainly a pleasant place to stroll around, to see the local way of life and what the shops have to offer! Dive – For many, one of Koh Lanta’s biggest attractions is the proximity to amazing dive sites. The area is home to an abundance of spectacular marine life, including manta rays, whale sharks, leopard sharks, hawksbill turtles and more. Whether you’re looking to learn, or are already a certified diver, don’t miss the chance to explore the underwater world. Whether you’re looking for luxury or sticking to a budget, you’ll find plenty of accommodation options in Koh Lanta. If money is no object, Crown Lanta Resort and Spa is the pick of the bunch. Complete with two swimming pools, a private beach, poolside restaurant, spa and more – everything you could possibly need is at your disposal. In particular, the oceanfront reggae bar is a highlight. It doesn’t get any better than enjoying cocktails in a private cabana as the sun sets over the Andaman Sea. While a number of room types are available, spaciousness and luxury remains a constant theme throughout. Our personal recommendation is the ocean view pool villa – which includes your very own private pool! What more could you possibly want? Alternatively, there are still plenty of budget properties to choose from. If you’re happy to make do without air conditioning, Sirianda bungalows offer basic rooms for great value by Khlong Khong beach. Personally though, we’d recommend opting for air-con as the days can be extremely hot. Thai Smile bungalows have private air con rooms in Khlong Khong beach for extremely reasonable prices. It’s certainly worth the extra money to be able to stay cool! Whatever you’re looking for, Agoda offer excellent prices for a number of properties and hotels on Koh Lanta. Click here to find the best deal for your stay! Friend House – Without question the best Thai curries we had throughout our travels in Thailand were at Friend House. Both the green and red curries were extremely tasty and come served with fresh naan bread for just 80 baht. At that price it’s an absolute bargain and we couldn’t resist going back for more at every opportunity. With plenty of other choice on the menu and fruit shakes available from 40 baht, this is the perfect spot for lunch or dinner – especially if you’re looking for high quality meals at budget prices! Three Sisters Restaurant – A cheap and easy option near Khlong Khong beach, with a reasonable selection of Thai food on offer. Dishes start from just 60 baht, meaning you can keep costs down without compromising on taste! Like this Koh Lanta guide? Pin it!